Horsemilk / maremilk is one of the most nutritious, constructive and healthy drinks which the nature has gifted us. Dr. Med. Lutz Koch. 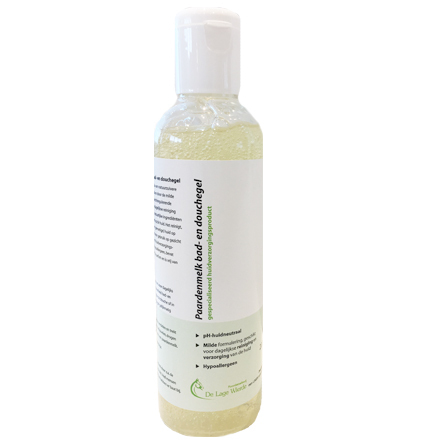 Our horsemilkproducts / specialised skin-care products are pH skin-neutral, hypoallergenic, only contains a natural allergen-free fragrance and are free from parabens. Questions or help with your order? Call or email our customer service. Open from Monday to Saturday from 10am to 5pm. Call us on +31 596 - 572 994 or send us an email. * You will see the Dutch packaging unit on the picture. Dairy is one of the oldest forms of food we know of. From the moment people started holding animals, they were already using their milk. So people knew very early that dairy is good for your health. Nowadays dairy is still a frequently used product. Horsemilk / maremilk is a relatively unknown dairy product to many people. Horsemilk / maremilk… is natural, tasty and healthy! Horsemilk / maremilk is a product which already got used in antiquity as a nutritious, enriching and energy enlarging remedy. A property of Horsemilk / maremilk is that it takes care and supports a healthy digestion. 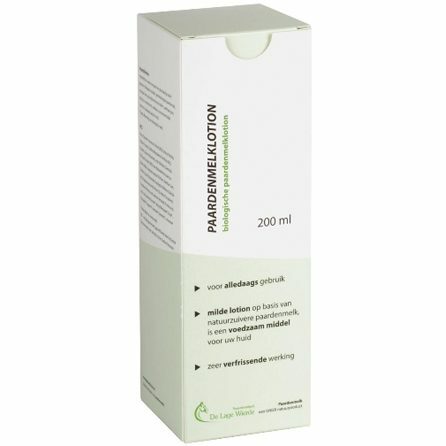 Horsemilk / maremilk stimulates the imuum system, helps to build a good intestinal flora and has a positive influence on a dry and sensitive skin. Wirdum is a small village which is located in the Provence Groningen in the Netherlands, where the family De Winter lives. The family works on a unique and healthy natural product, namely horsemilk / maremilk. The horses that produce the milk, are getting spoiled all year round at the farm of the family De Winter. The rural environment and the good care of the Halflingers is the reason why the horses get the chance to produce these healthy milk. 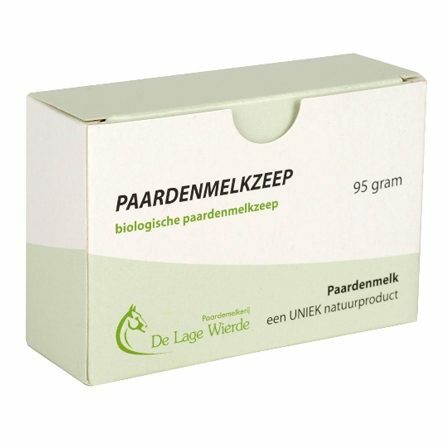 De Lage Wierde chooses for quality: freeze dried Horsemilkprodcuts! 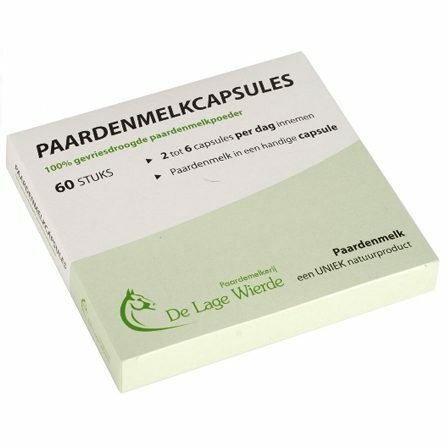 Horsemilk / maremilk for internal use is available in freeze dried horsemilk powder and horsemilk capsules at horse dairy de Lage Wierde. 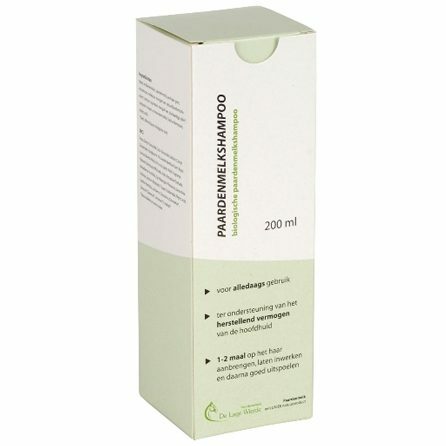 These products are simple to use and easy to take in. These are the main reasons why horsemilk / maremilk is appropriate for everyone (babies and adults). Freeze dried horsemilk / maremilk is a qualitative better product than other forms of dried milk. Read more about this in the ‘Drying of horsemilk-rapport’. 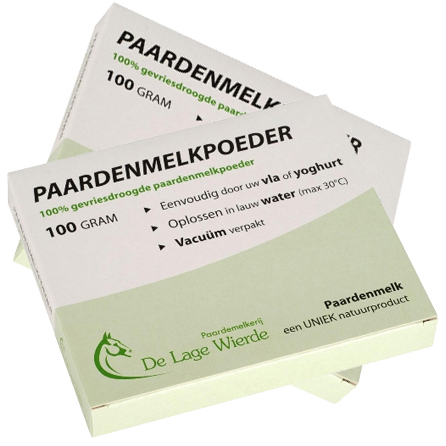 Horse dairy de Lage Wierde is the only horsemilkery company in the Netherlands that produces freeze dried horsemilkproducts their selves. 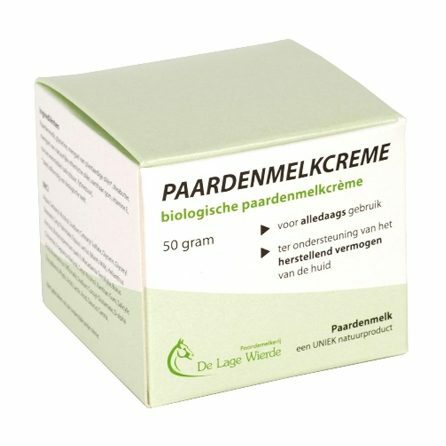 De Lage Wierde is one of the few horsemilkery’s in the Netherlands which have her own freeze dried horsemilk cosmetic products in their assortment. 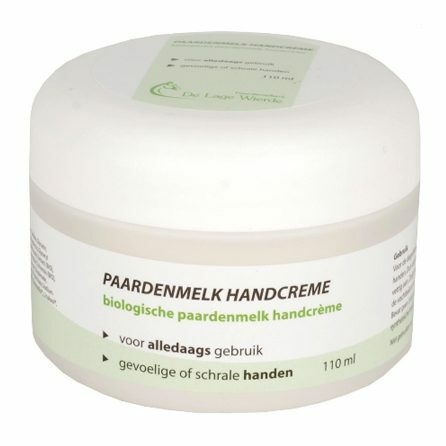 These cosmetic horsemilk / maremilk products are very divergent: from horsemilk shampoo, horsemilk lotion, Horsemilk bath and shower gel for babies and toddlers, Horsemilk skin lotion for babies and toddlers and horsemilk handcream till horsemilk day and night cream and horsemilk soap. Do you want to know which products fits your specific complaint? Then visit our product pages. If you have any questions after reading these pages, feel free to contact us. We are happy to help. You can reach us at +31 (0)596 57 29 94 or send an e-mail via the contactpage. 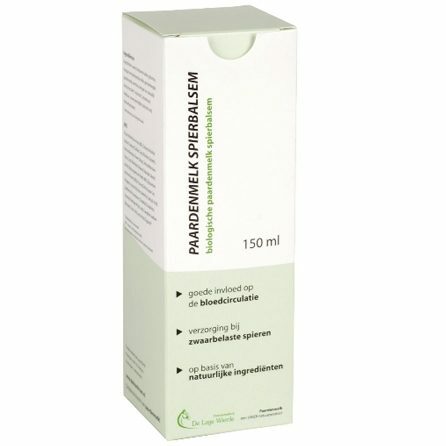 Horsemilk / maremilk stimulates the imuum system, helps to build a good intestinal flora and has a positive influence on a dry and sensitive skin. 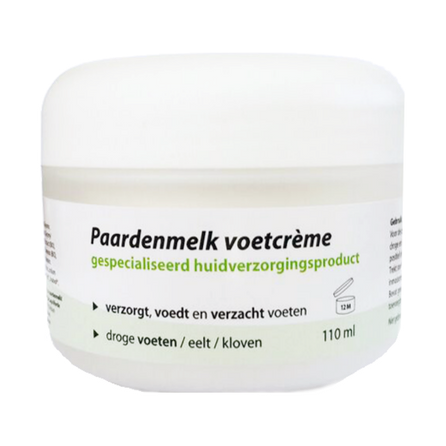 Our horsemilkproducts / specialised skin-care products are pH skin neutral, hypoallergenic, only contains a natural allergen-free fragrance and are free from parabens. Ask us your question. We are happy to help you.